Chinese smartphone brand Vivo launched its V15 smartphone in India last week. And today, the Vivo V15 Pro is going on pre-orders in the country. Interested customers can pre-book the Vivo V15 on the company’s official website along with Amazon India and Flipkart. However, the official sale of the device will start from April 1 and the customers would be able to purchase the device from Paytm Mall, Amazon India, Flipkart, Tata CliQ, Vivo’s official website and retail offline stores. Vivo V15 is the watered-down variant of the Vivo V15 Pro which was launched last month. Vivo V15 bears a price tag of Rs 23,990 and it will be sold on online as well as offline retail stores. Launch offers of the Vivo V15 include a free one-time screen replacement, up to 15 months no-cost EMI and extra exchange value of Rs 2,000. The offer also includes a loyalty benefit of Rs 1,000 over the exchange value. Vivo has also partnered with Reliance Jio to offer benefits worth Rs 10,000 on the purchase of Vivo V15. These benefits include up to 3.3TB data and Jio Vivo Cricket Offer. There is also a 5% cashback that can be availed if the customer purchases Vivo V15 using an SBI credit or debit card along with SBI credit card EMI transaction. Vivo V15 is available in Frozen Black, Glamour Red and Royal Blue colour options. 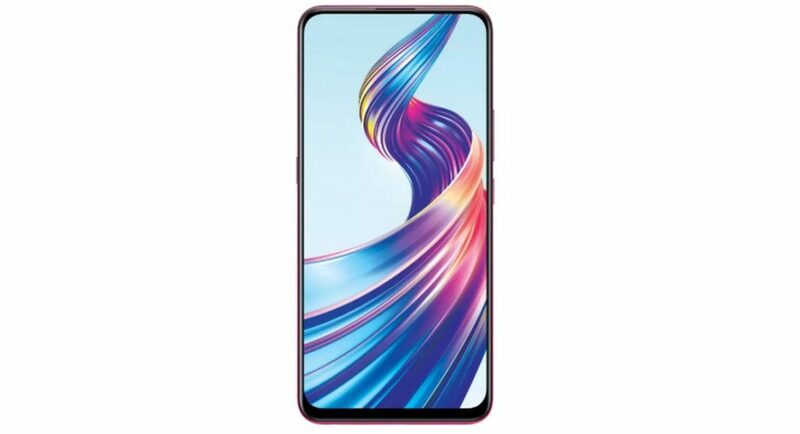 Vivo V15 sports a 6.53-inch Full HD+ (1080 x 2340 pixels) InCell FullView Display with an aspect ratio of 19.5:9. The display comes with a Corning Gorilla Glass 5 protection. Vivo V15 is powered by an octa-core MediaTek Helio P70 SoC coupled with 6GB of RAM. Vivo V15 handset runs Android 9.0 Pie skinned with the company’s own Funtouch OS 9. The device supports a microSD card of up to 256GB and packs a 4,000mAh battery. On the camera front, the Vivo V15 comes with a triple-rear camera setup which comprises of a 12MP (dual-pixel) primary sensor with an f/1.78 aperture, an 8MP secondary sensor with an f/2.2 aperture and a 5MP tertiary sensor with an f/2.4 aperture. On its front panel, the Vivo V15 comes with a pop-up selfie camera that has a 32MP sensor with an f/2.0 aperture lens. Other features of the Vivo V15 includes an ambient light sensor, digital compass, accelerometer, gyroscope, and proximity sensor. The device comes with a rear fingerprint scanner compared to its Pro variant which features an in-display fingerprint scanner. The connectivity of the Vivo V15 includes 4G VoLTE, Bluetooth v5.0, Micro-USB (with OTG), GPS/ A-GPS, and 3.5mm headphone jack.